In December, 2017 President Trump signed the new tax bill. This is known as the Tax Cuts and Jobs Act (TCJA). 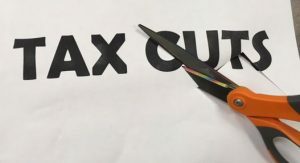 What received a lot of attention in the media were the tax cuts for individuals. For CT taxpayers, check out Four Easy Steps for CT Taxpayers to Plan for Their 2018 Income Tax. In response to the federal tax reform legislation, the Connecticut General Assembly has sent the Bill S11 to Governor Malloy’s desk for signature. Effective from passage and applicable to tax years commencing on or after January 1, 2018 the bill is mainly designed to circumvent the limitation on the federal state and local tax imposed by the Tax Cuts and Jobs Act of 2017, which limited the deduction to $10,000 of state and local income and property taxes. S11 creates a pass-through entity tax, which taxes partnerships, S corporations, limited liability partnerships and limited liability companies treated as partnerships at the entity level at 6.99%, along with a corresponding credit that offsets the tax on the CT personal return. An entity level tax would be fully deductible at the federal level in contrast to personal income taxes passed through to the entity’s shareholders, members and partners who would be subject to the $10,000 itemized tax deduction limitation. Unfortunately, this bill has no provision in it for Sole Proprietors or Single Member LLC’s. In addition, S11 also allows municipalities to provide a property tax credit for “donations” to a community supporting organization, which is a charitable nonprofit that is organized exclusively to support municipal spending on programs and services, such as public education. The bill also makes changes to other provisions including bonus depreciation and asset expensing. For other articles, please see our “Tax News” blog. Borgida & Company, P.C. will continue to update our clients on new tax matters. Aaron has over thirty-two years experience in public accounting and has been with the firm since the beginning of his career. His extensive experience spans almost every industry. Aaron has wide-ranging knowledge in tax planning and tax research for corporate, partnership, and individual clients, many with multi-state tax filing requirements.